The weather is almost scary. Blue sky, cold, clear air. The further we sail into Liefdefjord, the more ice is drifting on the water. We cruise slowly between the smaller bergy bits and larger icebergs. The mountains and glaciers are shining in the sun. 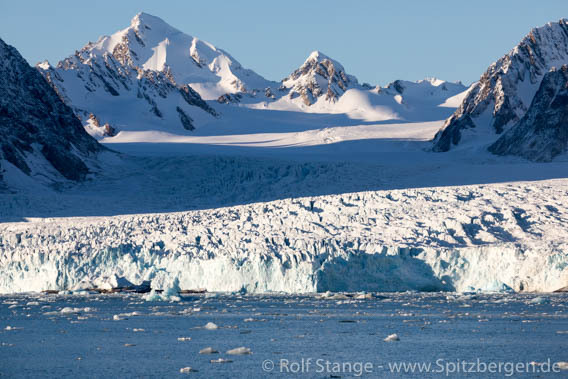 The landscape is culminating near Monacobreen and Seligerbreen, the large glaciers in Liefdefjord. 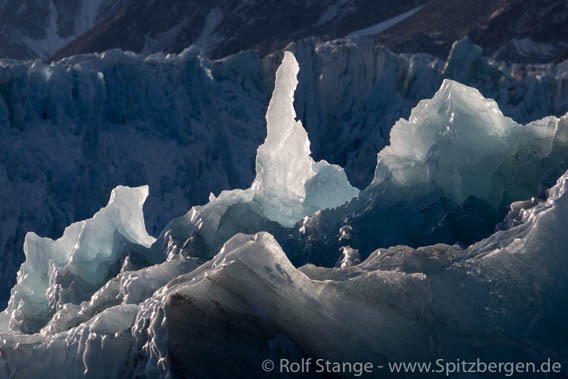 A symphony of glaciers and water, blue ice and blue sky, strong colours and sharp mirror images. In the Liefdefjord the large glaciers Monacobreen and Seligerbreen impress. Later, we find a walrus cow with her calf on an ice floe, and then a bearded seal. 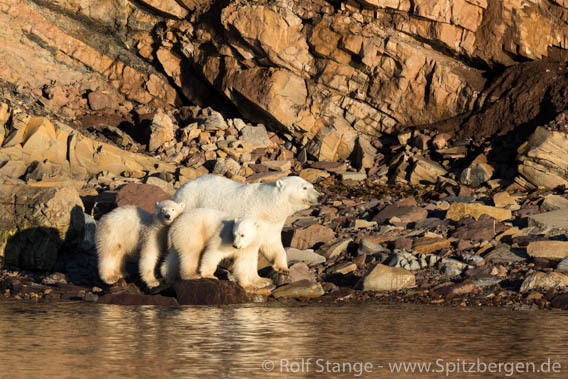 In Woodfjord, we find a polar bear family, so we spend the afternoon with wildlife watching rather than tundra hiking. A mother with two first year cubs, all of them well-fed and in good shape. Lovely to see. 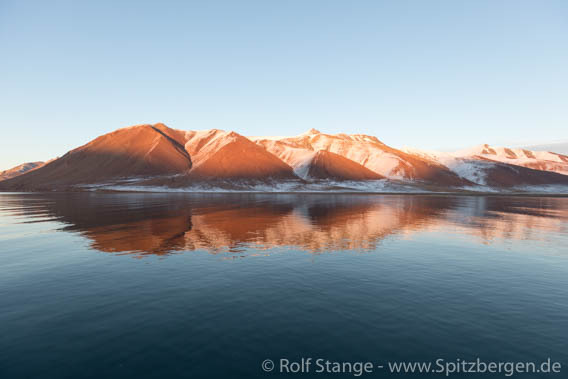 They follow the coastline as polar bears frequently do, swim a bit in the fjord and then back to the shore, while the sun is casting red light on the red landscape. An incredible picture.